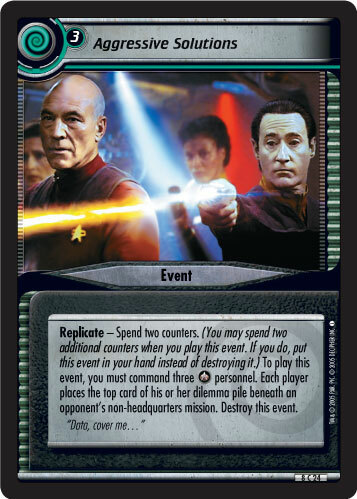 Replicate - Spend two counters. 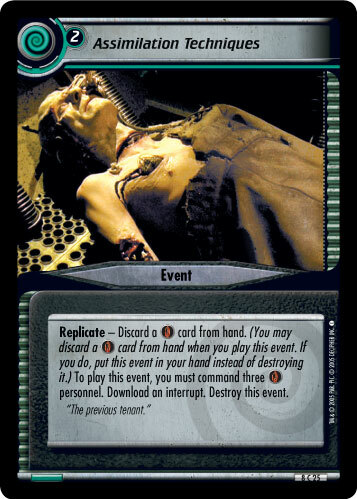 (You may spend two additional counters when you play this event. If you do, put this event in your hand instead of destroying it.) To play this event, you must command three personnel. 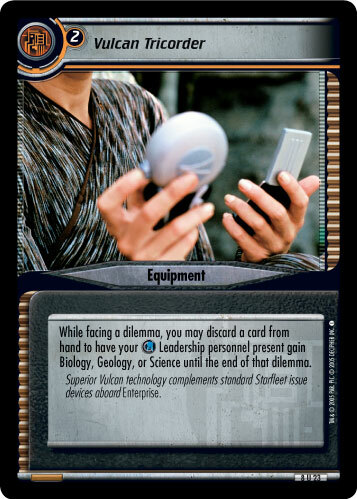 Each player places the top card of his or her dilemma pile beneath an opponent's non-headquarters mission. Destroy this event.